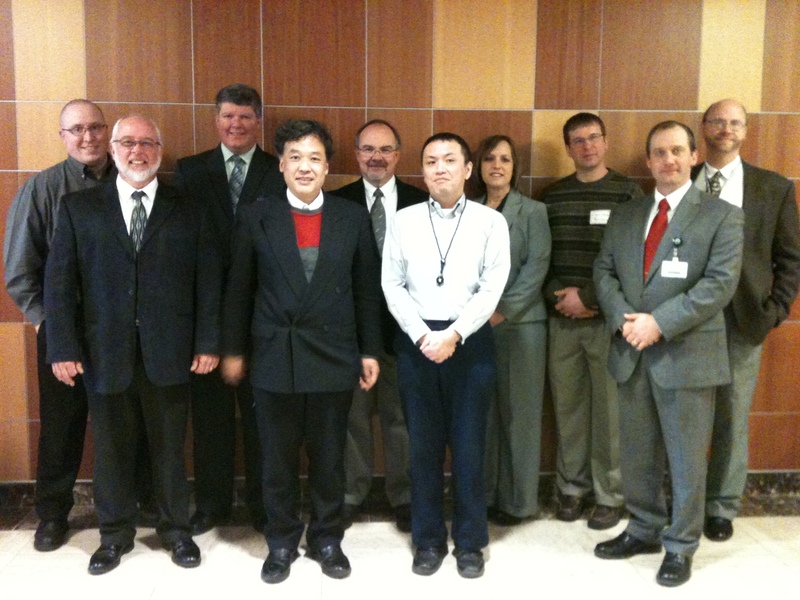 On March 25, 2013, CINC and WiscNet hosted two researchers from Japan, Mr. Yasuichi Kitamura and Dr. Hiroshi Mizushima for a briefing on, “Strengthening a Health Care Community with Collaborative Advanced Broadband Networks in the Chippewa Valley,” hosted by Sacred Heart Hospital in Eau Claire. Mr. Kitamura is a researcher at the National Institute of Information and Communications Technology, Japan, and a member of the Asia-Pacific Advanced Network. Dr. Mizushima is a Chief Senior Researcher at the National Institute of Public Health in Japan. They also visited colleagues at Internet2 and the NIH in Washington, DC, and best practice networks in Indiana and Michigan. The purpose of the visit was to study innovative high speed broadband fiber optic broadband networks, meet stakeholders in their collaborative models, and learn about their impact on health care. The Chippewa Valley Internetworking Consortium (CINC) is a regional Community Area Network (CAN) formed in 1999 that is committed to “Broadband Serving the Public Interest.” CINC became an Unincorporated Association in 2011 and coordinates regional communication infrastructure projects with city, county and state government, educational institutions, libraries, hospitals, health care, nonprofits, and technology providers to facilitate network creation that is innovative, competitive, and sustainable. Through a coordinated regional communication infrastructure, CINC helps the Chippewa Valley be innovative, competitive, and economically viable for present and future generations. CINC, UA Open House February 13th, 2pm @ Sacred Heart Hospital!